O crikey! I say, you chaps, when I was in Edinburgh performing at the Festival Fringe, there was a moment in my one-man show that caused a bit of a stir. It was the moment when I look back to the television of my childhood and mention my favourite BBC series of the 1950s, Billy Bunter of Greyfriars School. Greyfriars was our generation’s Hogwarts and the 14-year-old Bunter (gleefully played by the adult Gerald Campion) was our Harry Potter, though six stone heavier and into jam tarts and stealing postal orders rather than magic and wizardry. At my show, when I first mentioned Bunter’s name, audience members of my vintage murmured their approval; some even applauded. When I explained to the younger members of the crowd that much of the comedy in the TV series revolved around Bunter’s obesity and that ‘the Fat Owl of the Remove’, as he was known, was routinely bullied by the other boys (including Hurree Jamset Ram Singh, the Nabob of Bhanipur) and regularly beaten by the masters, they were aghast. At one performance, someone even hissed. Greyfriars School was created by Frank Richards (real name, Charles Hamilton, 1871-1961), the most prolific children’s author of the twentieth century. Bunter first appeared in The Magnet comic in 1908 as a minor character, but, like a schoolboy John Falstaff, he quickly became the star attraction and, for half-a-century, in comics, novels, cartoon strips, on television and on stage, was a household name, truly as familiar in Britain in his time as Harry Potter is today. In the 1970s, I tried to get Bunter back on TV. I acquired the rights, wrote a pilot script, and lined up quite a cast (including Christopher Biggins as the boy Bunter, Robert Morley as his pater, and Sir John Gielgud, no less, as the school’s headmaster), and went in to make my pitch to the BBC. The moment the door opened at the commissioning editor’s office, I knew the project was doomed. 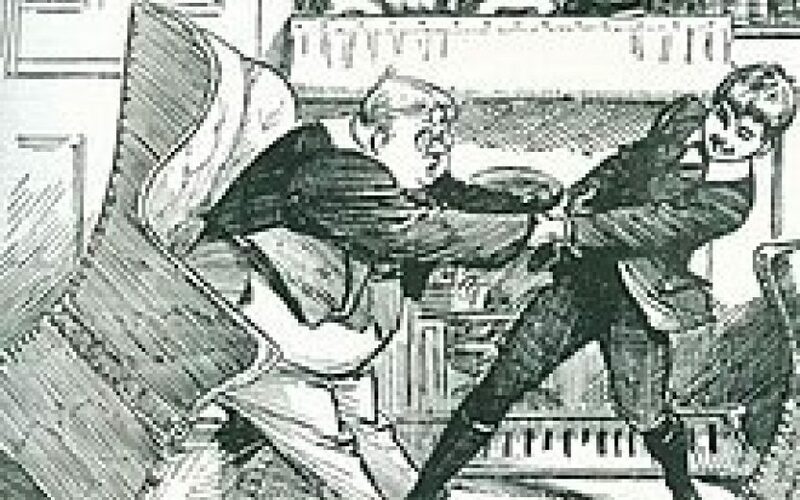 The lady commissioner was, alas, exactly the size of Billy Bunter’s gargantuan sister, Bessie – and failed to see any of the comic possibilities in a tea-time programme featuring corporal punishment being inflicted on a fat schoolboy. Billy Bunter was to have no further place in the BBC schedules. I believe they put Jimmy Savile’s children’s show into the vacant slot.